Fact: Side dishes are the unsung hero of almost any meal. Fiction: Side dishes are boring. If you believe in fiction, here is a “good un” for you. 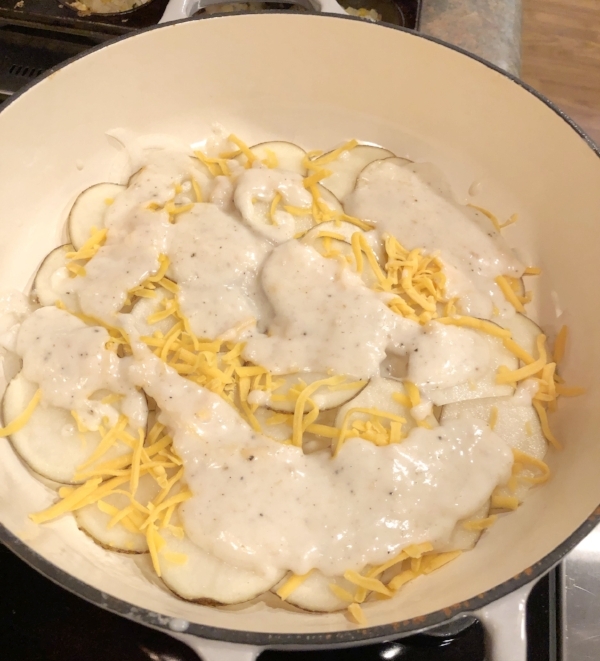 Potatoes bathed in a delicious white roux with savory nutmeg and the earthy kick of horseradish. Add in glorious layers of cheese and thin sweet onions. This side dish may steal the show! I used my trusty Mandolin, like this ONE to slice my potatoes and onions super thin and let the layering begin! So for the real reason you are here, let’s get on with the recipe! 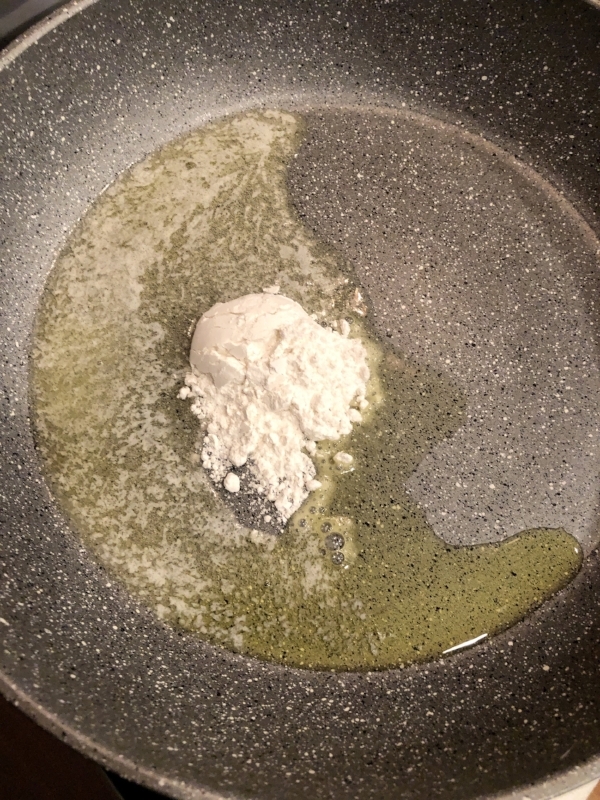 In a skillet, heat 3 tablespoons butter and olive oil over medium heat until melted. Sprinkle in flour and mix. Cook 1 or 2 minutes to brown slightly and cook out flour taste. Slowly drizzle in milk and whisk until thickens. Lower heat to low and add in nutmeg, garlic, salt, pepper and horseradish to taste. Remove from heat. In a lightly greased casserole dish, spoon some roux in and spread around on the bottom. layer onions and then potatoes. Spoon more roux on top and add cheese. Do this layering technique as many times as you wish, stopping with cheese and roux on final layer. Mix breadcrumbs and 1 tablespoon melted butter with parsley. Sprinkle over the top and bake for 45 minutes to 1 hour or until bubbly and golden brown. This luscious, creamy dish will be the favorite of any meal. As always, I hope you try it and love it like we do here at The Buttered Home. Be sure and leave us a comment and post a picture over at the Facebook page. We love pictures of food! Preheat oven to 375 degree Fahrenheit In a skillet, heat 3 tablespoons butter and olive oil over medium heat until melted. Sprinkle in flour and mix. Cook 1 or 2 minutes to brown slightly and cook out flour taste. Slowly drizzle in milk and whisk until thickens. Lower heat to low and add in nutmeg, garlic, salt, pepper and horseradish to taste. Remove from heat.In a lightly greased casserole dish, spoon some roux in and spread around on the bottom. layer onions and then potatoes. Spoon more roux on top and add cheese. Do this layering technique as many times as you wish, stopping with cheese and roux on final layer. Mix breadcrumbs and 1 tablespoon melted butter with parsley. Sprinkle over the top and bake for 45 minutes to 1 hour or until bubbly and golden brown.